A modern and professional styled meeting room is crucial to impressing your guests and clients at your next corporate event or meeting. Here at workspace365, we have been providing businesses with the top of the range premium Melbourne meeting rooms for many years. With prime locations in Melbourne, Sydney and Brisbane CBD, we have a vast range of meeting rooms that will meet all your needs. Our professionally trained staff at Workspace365 will support your staff and impress your clients. With some of the top meeting facilities available in Melbourne CBD, you can impress your clients and guests with benefits such as picturesque views of the Melbourne city skyline and nearby entertainment spots. Our professional and modern meeting rooms in Melbourne are located in state-of-the-art buildings, such as St James Square, that will present a professional and established image to your clients. We have meeting rooms located on Collins Street, La Trobe Street and Bourke Street, and all are fully equipped with the latest technology as well as high-speed internet to ensure that all your needs are met. Create a long-lasting first impression with our professional meeting rooms on level 14 and 15 on 330 Collins Street. Featuring great views and natural light that creates a comfortable atmosphere, boardrooms that can seat up to 24 guests with elegant comfortable and professional seating and tables, and complete panoramic views overlooking the hustle and bustle of the city below, our meeting rooms are the perfect way to impress your clients. Our Latrobe street meeting room facility overlooks Flagstaff gardens and the green space adds to the spectacular brand-new meeting rooms. Our purpose-built Training room seats up to 30 people comfortably with its own kitchen and break out area. 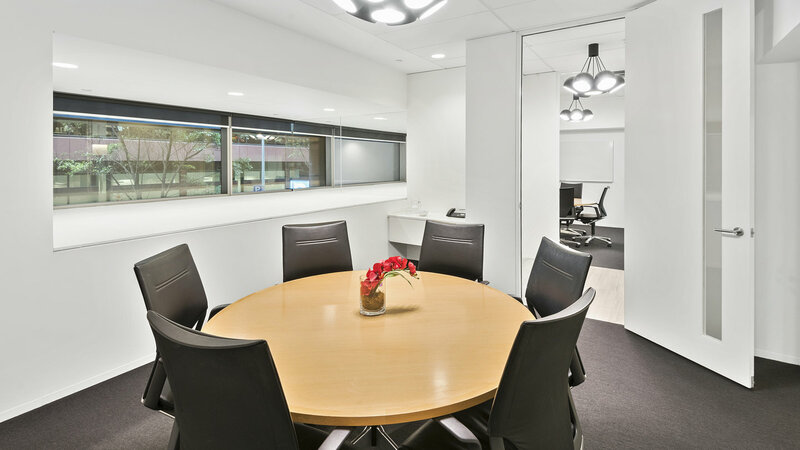 Enjoy the unbeatable professional meeting rooms in our 555 Bourke street office, which is located in the heart of the legal district. Our meeting rooms cater for up to 10 people and are designed specifically for sound private meetings. Flexibility and control are in your hands as our affordable price packaging allows you to rent one of our meeting rooms for either an hour, half a day or the entire day; it’s completely up to you. All our Melbourne meeting rooms for hire come fully serviced with hi-speed internet, whiteboards, reception services, video conferencing and are available 24/7. If you are looking for premium Melbourne meeting rooms for your next corporate event or meeting, get in contact with Workspace365. For more information on all our meeting room locations across Melbourne, Brisbane and Sydney CBD, browse through our website today. What is Unique about Fully Managed Offices? What is a Virtual Office? And why are so many people going virtual? 5 Reasons coworking spaces are good for corporates start-ups and entrepreneurs.